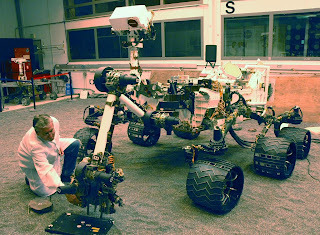 NASA’s Mars Curiosity Rover was launched in November of last year. After traveling 352 million miles, the rover will touch down on the red planet in just a few hours (1:30amET). Curiosity is bigger than any previous rover but also more equipped giving us our best shot yet at verifying if life on Mars, was, or is ever possible. 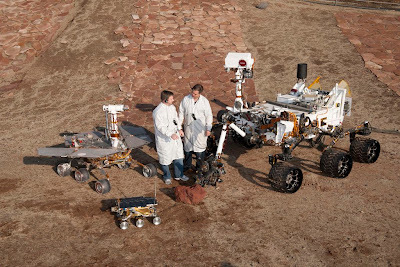 But first, Curiosity has to stick the landing on Mars' surface. Allow me to break everything down on all things Curiosity. Lets call it a 2.5 billion dollar gamble; the mini cooper sized rover is going to have NASA engineers seriously sweating on this landing. From the top of Mars atmosphere, down to the surface, it takes 7 minutes. Curiosity has to go from 13,000mph to 0mph during this time, which is being dubbed as “7 minutes of terror". There is no room for error on this landing. 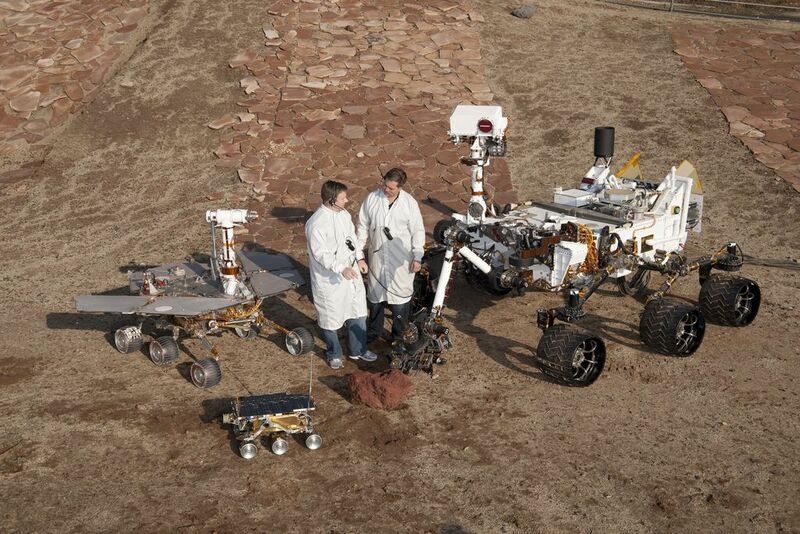 Since Curiosity is much bigger than previous rovers, it cannot use an airbag landing. The process requires four steps. 100lb parachute – “the strongest most supersonic parachute NASA has ever developed”. (It has to withstand 65,000 lbs. of force) But that parachute is only going to slow it to 200mph. When it gets close enough, it will cut that parachute off and slow itself down with rocket- powered deceleration. It then will be lowered down on it’s wheels by a Skycrane, and this will all happen with the utmost precision. This particular mission is the most ambitious and also has the most riding on it. If the mission fails, there will be a lot of skepticism on the spend and also future space missions. And if the mission is a success, it could lead to very interesting discoveries in science. Experts are predicting a 60-70% chance of failure. What is the point of the mission anyway? And while it is much bigger than previous rovers, it is better equipped which finally allows NASA to confidently get answers. There are ten different instruments on board that will take on various missions: a camera that will take high res video and pictures, testing for radiation, and there’s even an on- board laser that will test the soil and rocks (all data will be sent to two orbiters to relay the results back to NASA). The mission itself is scheduled for two years, though NASA says the battery could last up to ten. This sounds freakin’ awesome, where can I watch/stay up to date? And PS - I highly recommend you watch this clip from NASA's Jet Propulsion Laboratory.